I’ll admit, with all the gems of yesteryear being revived, I’m a little bummed that Shorty’s hasn’t reappeared on the skate scene. True, there seem to be a lot of Muska decks floating around in the ether, but until I see videos of skaters (some of which whom are most definitely minors) being swiftly sentenced to death for skating, followed by murderous retaliation, the comeback is anticipatory at best, illusory at worst. And if you want to argue that skateboarding has always counted product performance as the number one indicator of popularity, keep in mind that for a time Rocco (allegedly) didn’t even care about the quality of World Industries decks (and apparently, not many customers did, either). 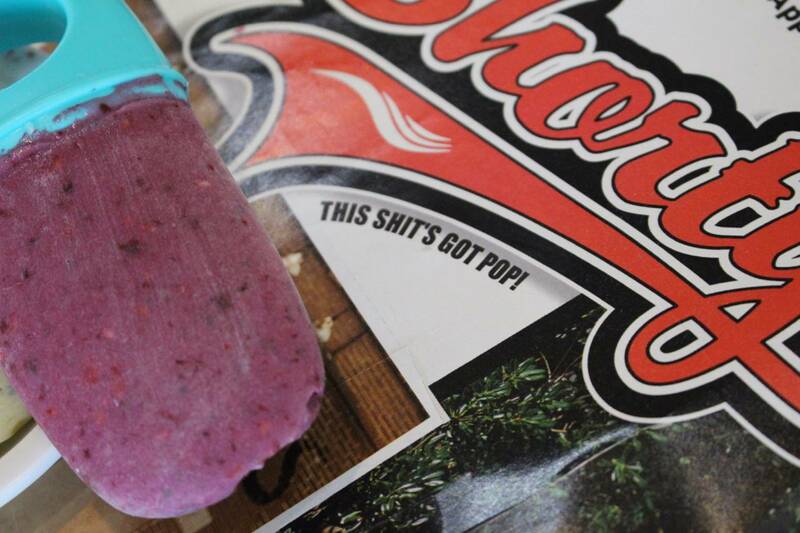 While Shorty’s actual ability to deliver on said pop is ripe for debate (lest we forget that Foundation’s Pop Top and Santa Cruz’s Powerlytes came out in the same era), we can all agree that the scorching days of summer deserve only the highest caliber of pop. 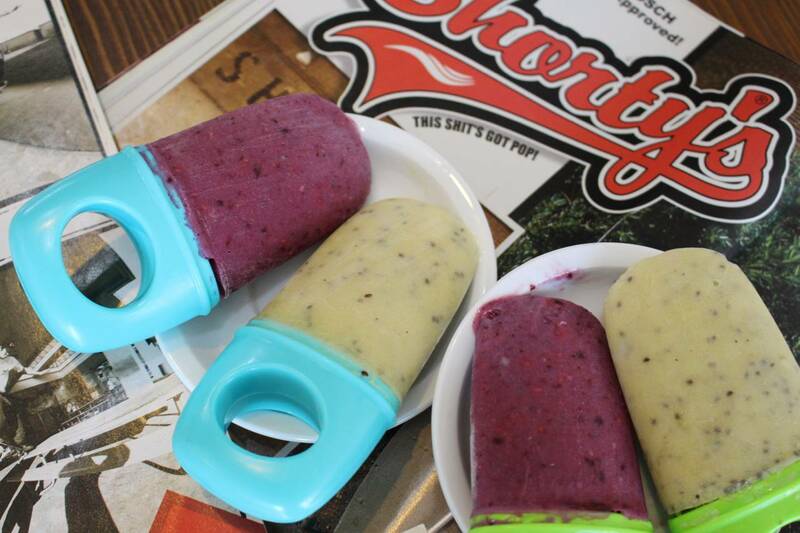 If you’re thinking of a Flinstones pushup pop, think again: this week’s recipe is a real fruit popsicle packed with a little extra recovery protein from silken tofu. 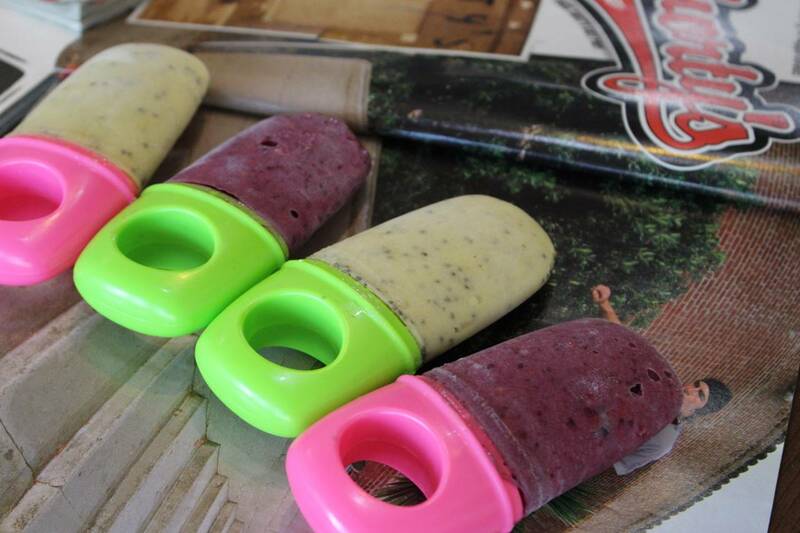 While you don’t have to skate in 108° heat (though we like to in Texas) to earn a sweat deserving of cool treats, these pops are a chill way to get an ideal blend of quick carbs, fats and proteins after a summer sesh. They are exceedingly simple to make and this recipe yields an impressive number of treats. While I use a popsicle mold for mine (seriously, they’re like a buck), you can fashion these treats with items you have at home. If you’re using frozen fruit, let it thaw for about 10 minutes; otherwise just throw everything into a blender and blend it up until it’s as smooth or chunky as you like. 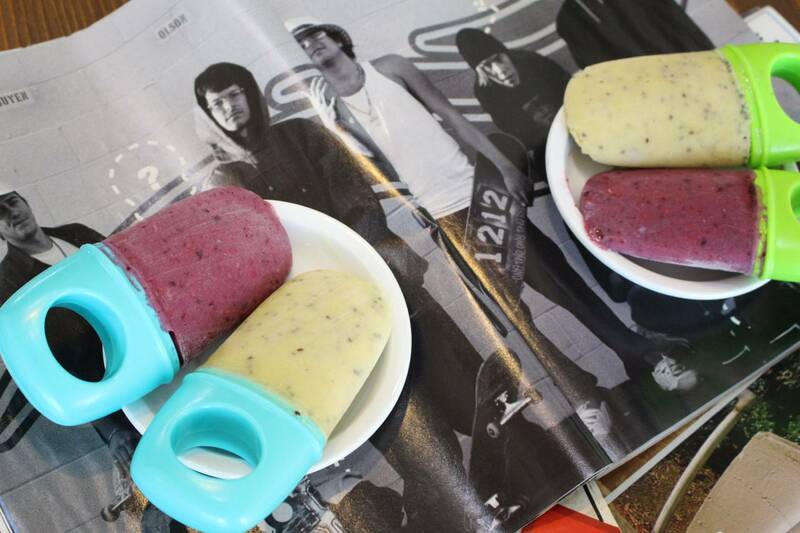 Chunks of fruit in the pop are rad, but a completely even mix helps disperse the chia seeds more. Pour the mix into the molds and freeze for 1-2 hours (or overnight). When you’re ready to eat, let them thaw for about 5 minutes before removing from the molds and then bite into chilled bliss. Robert Mechem’s video features only industry dudes… on the older side, if you will. Team Crob vs. Team Mike Mo… it’s only just beginning. David Reyes (aka “El Rey”) demonstrates his royal skills in the latest It Must Be Nice.